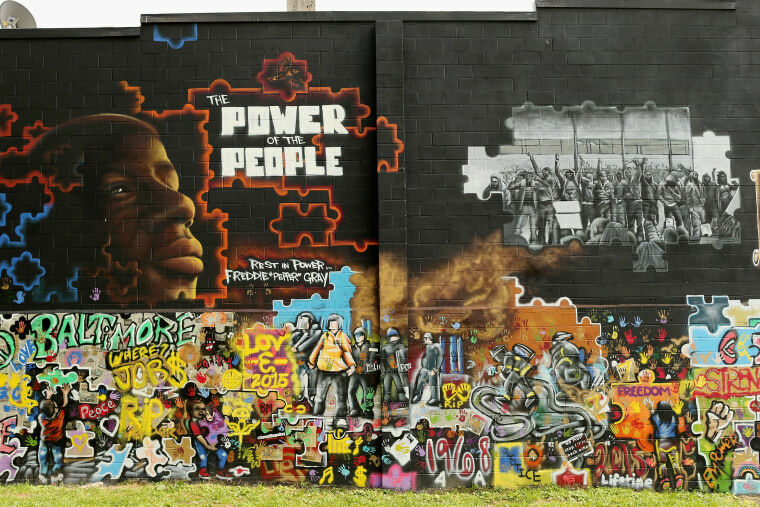 There are many compelling stories about those impacting, and influencing, life in Baltimore. Kobie Brown spent the spring & summer of 2015 documenting them in a series exploring race, class and justice in America. The public face of the war on drugs has assumed a new set of zip codes following the explosion of heroin in suburban America. The actors at the center of this latest iteration of war are parents, relatives and friends of America’s privileged. New Jersey Governor and presidential hopeful, Chris Christie, is among the cadre of the concerned. In October he addressed a crowd in New Hampshire with the tale of a friend from law school who grew addicted to painkillers and eventually died from an overdose, leaving behind a beautiful family and friends who loved him very much. Christie is not alone. Another republican presidential nomination hopeful, Carly Fiorina, has shared the tale of burying her stepdaughter, who was also addicted to drugs. A generation ago First Lady Nancy Reagan admonished all to “Just Say No” to drugs. A generation later, Christie and Fiorina have become very public faces to advance and join the growing chorus of voices dedicated to taking a more forgiving approach to the war on drugs and addiction. The current war on drugs is posited as a public health matter. It’s a drastically different outlook than the one assigned to its progenitor, which took place in a different set of zip codes. The last war on drugs, which was largely defined by, but not limited to crack cocaine, was presented as a matter of public safety. Its devastation was extremely baleful in the city that sits conveniently off of the Chesapeake Bay and interstates 675 and 95. The ports and highways gave easy entrance to narcotics. While it has been profiled, and for some romanticized, there is a difference between watching "The Wire", and experiencing the conditions defined by the drug trade day in, day out. There is a difference between watching "The Wire", and experiencing the conditions defined by the drug trade day in, day out. The use of drugs defined in the previous war was not exclusive to the inner city or blacks, for that matter. But for many blacks in places like Baltimore, the confluence of the war on drugs and a serious turn in the job market meant that when jobs disappeared, drugs became a viable, and at times, lucrative entrepreneurial alternative. Very quickly, however, their presence increased the probability of being murdered or incarcerated. For many, the allure of the money and accompanying lifestyle became a disincentive to education, work or other legal ventures that build, strengthen and sustain healthy communities. The trajectories of our lives are often shaped by our surroundings. Whether you sold drugs or not, the legacy of crack, narcotics and the war on drugs has left many communities, mostly black, devoid of healthy families, economic power, examples of quality living, and the intellectual power of those who couldn’t get away from the conditions it created - whether internal or the increased occupation of neighborhoods by strong policing practices, and the criminalization of its citizens - fast enough. The previous war on drugs also left droves of children in households where incarcerated parents, often fathers, have meant a loss of income, increased danger to children and emotional frustration. Nearly 50 percent of the nation’s prisoners are drug offenders. The majority of them are black. For many, the message of forgiveness and rehabilitation afforded the often-privileged actors in the new war on drugs smacks of political hypocrisy. The impact of drugs and the previous war on drugs in places like Baltimore has been a clarion call for those lobbying against mandatory minimums and those day-to-day foot soldiers militating against the violence and further economic fallout the drug trade has brought to pass. I met many such people during my trips beyond the inner harbor of Baltimore. They are women like Shana, who after graduating from college has become active in mentoring young women; Munir Bahar, best known for his 300 Men March anti-violence initiative, that aims to help young people navigate some of the challenges he faced while growing up in Baltimore; and a host of others dedicated to advancing the odds in managing the realities of race, class and justice in America. Kobie Brown is an entertainment executive by trade, with a passion for writing and creating film. He began his career working for Queen Latifah, and has gone on to work with artists ranging from Alicia Keys and Beyonce to Lauryn Hill and Justin Timberlake. He holds degrees from Morehouse College and Rutgers University.